Decorative Life: From 4-8 days, up to 14 days. Harvest when approximately 50-70% of the flowers are open (showing color). 36-38 F (3 days or less), 32-34 F (more than 3 days). 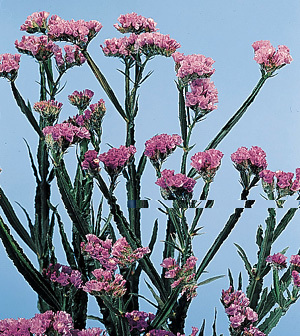 Scientific name is from the Greek word “leimon” (a meadow), referring to the plant’s original habitat. The specific epithet name sinuatum means wavy-margined, in reference to the stem shape. While not the same species, Reid and Evans (1994) and Doi and Reid (1995) showed that vaselife of ‘Fantasia’ tripled in a flower food compared to water.